Danan, the infant who was rescued from the remains of a wrecked airplane by Jimba, a young Amazon tribesman, came home from hunting one day to find his guardian mortally wounded! What happened to Jimba? Who could do such a thing? 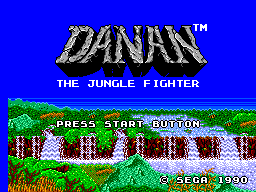 Help Danan to find the answers - stalk the hot, wet jungles of the Amazon, putting the pieces together as you go, and avenge Jimba's death!